The studio is revving up on live experiences for its flagship series with an escape room, museum partnerships and truck tour in France this month. 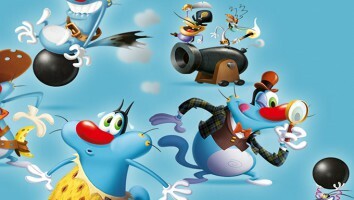 French studio Xilam Animation is expanding its live brand extensions for Oggy and the Cockroaches with a line-up of activities and events scheduled in France. As part of Oggy’s 20th-anniversary celebrations, Xilam is opening a themed escape room in Paris this month based on the show’s fifth season that will challenge participants to solve a series of puzzles and riddles in a race against the clock. 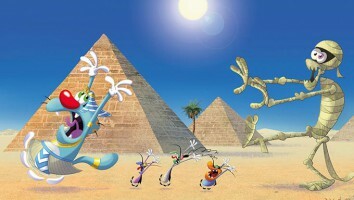 The studio has also partnered with The Museum of Arts & Crafts in Paris for kids animation workshops and regular screenings of the making of Oggy and the Cockroaches, as well as a branded booklet that explains the history of cinema according to Oggy and various product giveaways. It has also signed a partnership with The Paris Aquarium to give away a branded Oggy booklet to kid visitors as they go on a treasure hunt exploring oceans, sea-life and underwater creatures. Branded trucks will be touring across six large cities in France later this month for character meet-and-greets, episode screenings, games, competitions, gift bags, coloring activities and workshops. The live brand extensions will be supported by a media campaign in partnership with broadcaster Gulli and national radio station France Bleu. Xilam is also running an extensive #Oggy20digital social media campaign on Facebook, YouTube and Instagram that focuses on user-generated content, influencer partnerships and a competition to win a VIP weekend in Paris. 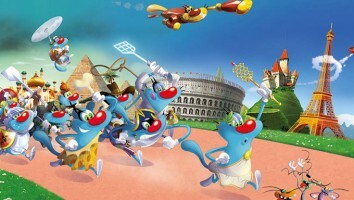 Earlier this year, the company secured a US$26 million in new funding from private investors to support growth plans for Oggy and the Cockroaches, Zig & Sharko and Paprika, and also new acquisitions and co-productions.